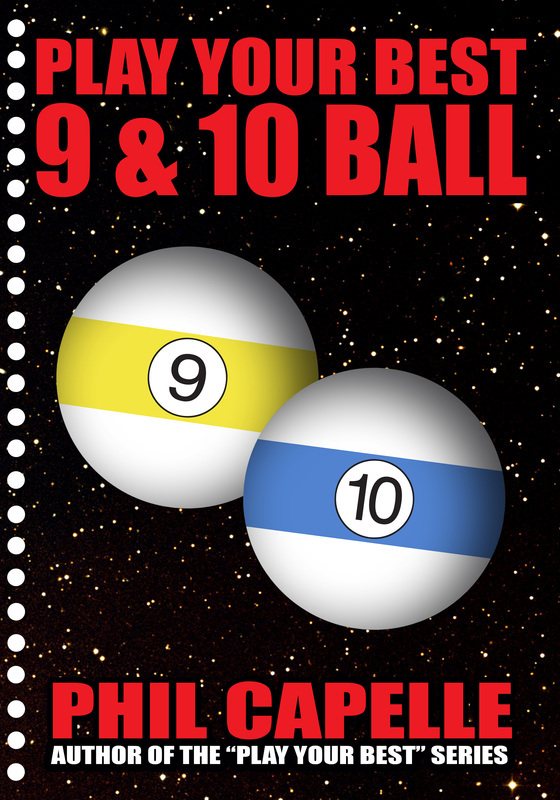 Over 100 new pages on 10 Ball! Secrets of the pros - including the break! (Berachot 5:2) Alternatively stated, whether in life or 14.1 Continuous, if a problem or issue lies below the radar screen it is almost impossible to improve it or fix it. Only when issues ascend to the level of heartfelt consciousness do they become amenable to favorable solutions. Capelle’s text drills that message home in multimedia format. The reader sees the information in diagrams, in numbers, in text, and in actual video images ( a CD is included with the book) of professional matches. With multiple examples and constant repetition Phil’s work reinforces basic notions necessary for high level straight pool play. Think ahead, execute with precision, and entertain options becomes the mantra. The dedicated reader will not forget these concepts. And with practice the mantra becomes embedded and ingrained. Ultimately, and somewhat ironically, the lessons also descend back to the level of the subconscious mind. At that point a sense of wholeness and completion is attained—high runs ensue. The book also makes significant other contributions. For starters, the organizational structure is innovative. Capelle historically reviews the actual closing patterns from famous professionals as they practice their craft. In each case the reader follows the play. in the accompanying video CD while the corresponding text analyzes the action. The written word is in perfect sync with the movie style format. Second, meticulously drawn diagrams illustrating the ball position from the matches challenge the reader to solve the puzzle on the table—just as the pros did during competition. Carefully scrutinizing their choices, and usually providing options, Capelle takes his audience step by step on the final journey of a straight pool rack. In this fashion the reader is given a double dose of the information—visually and conceptually. Finally, the author’s thorough attention to detail makes the text even more interesting. No nuance misses his eye as he comments on the fine particulars on the player performances. In one instance he notes the player’s elbow position after cue contact, in another the number of inches the ball has traveled from the most optimal position, and in another he calculates the stroke speed average for the shots played. enhance and facilitate your personal accomplishment in straight pool. Click here to order Break Shot Patterns today! Your game and your results may not be closely correlated in the short run, but in the long-run they are completely related. In any given match or tournament, the rolls may be against you, and you could lose even when you are the favorite. So remain patient, keep playing YOUR game, and your time will come. The health of your game is always at risk. If you adopt a poorly conceived technique or one that is not suited to YOUR game, it could lead to a lengthy slump or even threaten your career. So, before changing some aspect of your game, remember that no advice is better than bad advice. There are a 1,001 secrets to playing great pool, and the more of them that you add to your game, the stronger it becomes. When you implement A Big Secret, you could experience a quantum leap forward in your game. But just remember that that secret is only A Big Secret. THE Big Secret is that there is no single big secret – that any player’s game is the sum of the many secrets that they have accumulated over the course of their career. On this site I will be sharing ideas that can help you to improve your game in concert with other social media, including my pages at Facebook friends and at Twitter. Subscribers to Pool and Billiard Magazine should check out the January 2013 issue, which includes my 200th column. 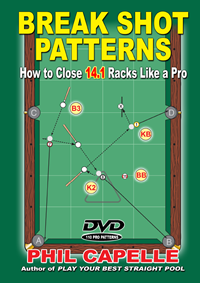 It covers three pages and is all about how to Play YOUR Best Pool - with an emphasis on YOU. To celebrate #200 I will, during January only, be offering super specials on individual copies, and even bigger savings on packages of my books. As a bonus, all orders shipped within the USA will get FREE SHIPPING. Here's wishing you a year of great pool in 2013!! !